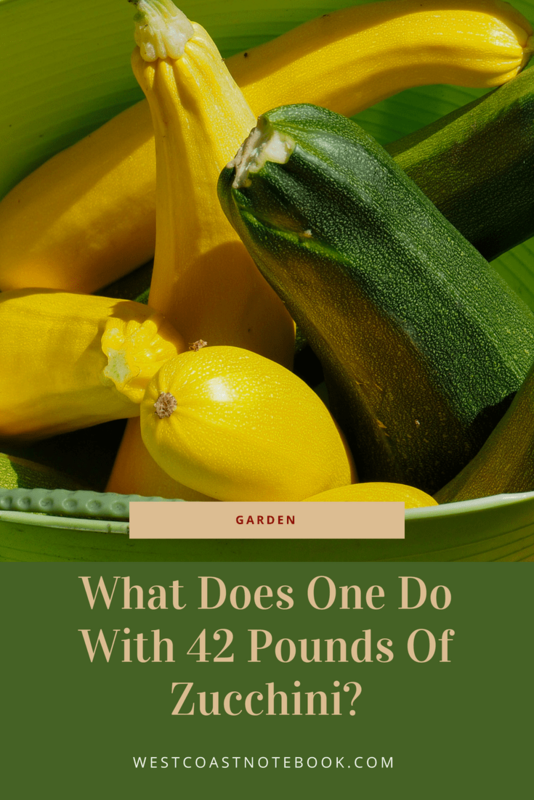 / What Does One Do With 42 Pounds Of Zucchini? Talk about an excess of zucchini! What does one do with 42 pounds of it? Short of trying to give it away to everyone I know and a stranger I met on the street, I was still left with 42 lbs. My zucchinis have been prolific this year and I had planted 3 plus a patty pan which is another type of summer squash. Way too many for two people to eat. Normally, I plant two zucchini. One green and one yellow. But somehow I ended up with 2 yellow ones and one green this year. And one plant would have been more than enough. Now if you’re like me you hate to waste any of your garden produce. I figure if I’ve gone to the effort of planting and watching them grow that at the end of the day I should at least preserve the excess for future use. Having dehydrated a lot of squash in the past, I wanted to try something else this year and quite frankly I’ve just never had plants that produced this well. I blame the chicken manure. Those are my go-to methods of eating zucchini. But… hit with an excess of it, I definitely needed some other options. Here is what 30 pounds of zucchini looks like. The other 12 lbs came from a huge zucchini that was hiding under the leaves and was hanging down over the raised bed. I didn’t take a picture but suffices to say it was the size of a fat baseball bat and I could carry it over my shoulder like a club. 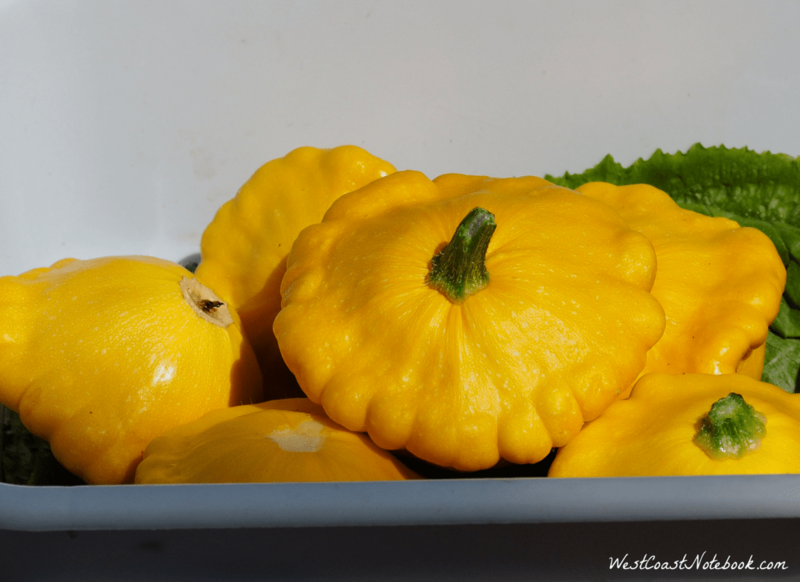 At the same time, the patty pans were at their peak. I never weighed these, and although you can’t tell from the picture each one is at least 6 inches in diameter. That is more than a handful for me. So, armed with my zucchini I went to work knowing that tomorrow, there would be more! One saving grace is that a week ago, Rob brought me home a small freezer that someone had given him. Which was a good thing as our existing freezer was full of blueberries, rhubarb, apples and other assorted goodies which took up a lot of room. As I mentioned above I have dehydrated most of my veggies and used them throughout the winter in soup and stews, and although the flavour is excellent most of the time they don’t reconstitute with the same texture. Already having a stock of dehydrated zucchini I decided that the new freezer was going to get a workout. I searched the internet looking for recipes that looked tasty and easy to make. Pinterest was the best source of information as people are so willing to share recipes, pictures and videos. I could spend hours but I had zucchini to process. I have made it other years and Rob loves it. Having an excess of frozen bananas and fresh zucchini it seemed like a perfect fit. It’s moist and freezes well. I’ve also added chocolate chips in the past which works well with it. 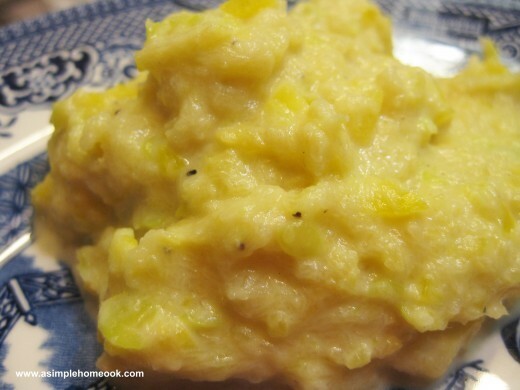 The next recipe I found was for squash that was similar to mashed potatoes only without the calories. After trying this I could hardly wait to make it again. 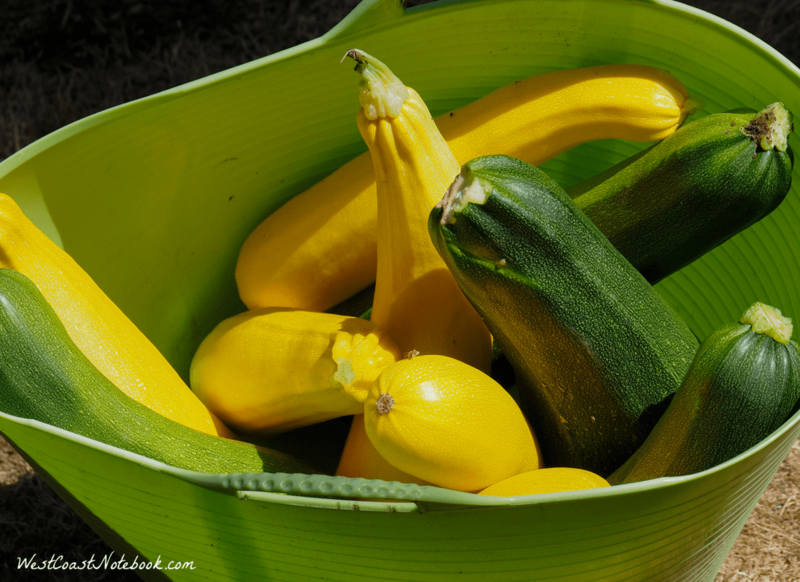 I have used both yellow and green zucchini and it works fine with both and a combination of them. 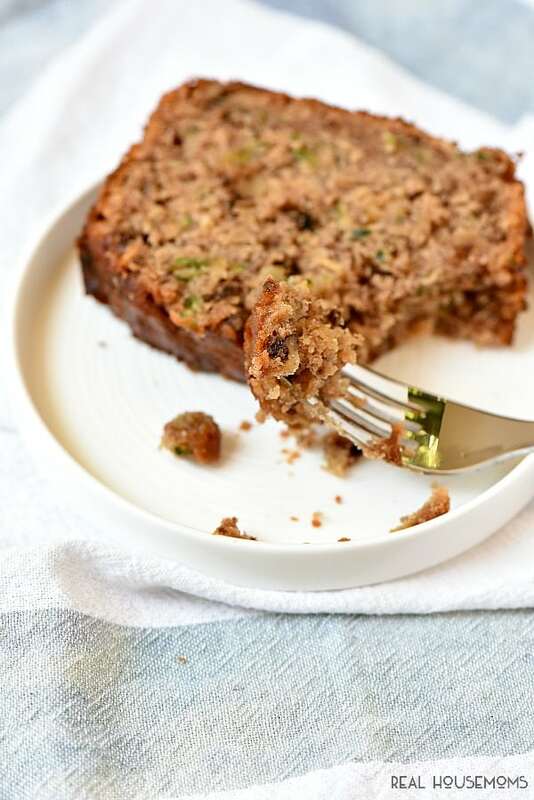 After trying the recipe above this one also sounded delicious and you can freeze any leftovers. 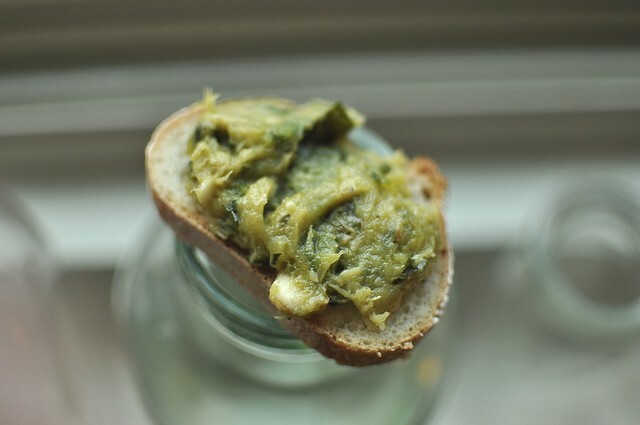 I actually doubled the recipe as you know I had an excess of zucchini and I had also just harvested the garlic. The garlic hadn’t cured yet but worked just the same. I can’t recommend this recipe enough. So far we had eaten as a side dish. And my favourite (as this used up even more zucchini) was to zoodle some with a spiralizer. It basically makes noodles from squash and other veggies. Fry the zoodles slowly in some oil or butter (1 Tbsp) and as they get warm, add some of the above zucchini butter to it like a spaghetti sauce. A little parmesan cheese and it’s a meal fit for a king/queen. Because the above recipes were so good, I thought I would like to store some for the winter. I did a search to see how others were freezing it and there seem to be two ways of doing so and both camps swear that theirs is the best. Basically, I cut the zucchini into chunks. I did this by cutting the large ones lengthwise down the middle and then scooping out the soft inside seeds. It comes out really easy. This was so I was only left with the meat of the squash, not the soft watery part. Then I cut them into more manageable chunks about 1-2 inches in size. For the first batch, I blanched them for 4 minutes in boiling water and then dumped them into a cold water bath in the sink to cool them off. Once cool and drained I put them into ziplock bags, took all the air out and froze them. I did the same with the patty pan squash. The second way I did it was to follow the cutting and chunking above and then put them into ziplock bags and freeze them. No blanching required. I’ll let you know which one turns out the best. With the rest of the squash, I ended up shredding it for cakes, bread and pizza crusts. Yes… I’ve heard that it makes delicious pizza crust so it’s on my to-do list. And I just found this recipe that looks like a keeper. It’s called Yellow Squash with Lemon Marmalade and you can find the recipe here. I just need to pick up some lemons.